When I told you of our little valentine dilemma, you were all quick to help. We got cards in the mail and people rearranged plans to be with us for our after-school party. One friend even bought an entire box of cards and sent them to school with one of her teacher friends. The teacher let each of her students write a science fact on the card and seal it up. The big three loved it. The little one decided that chocolate was way more interesting. 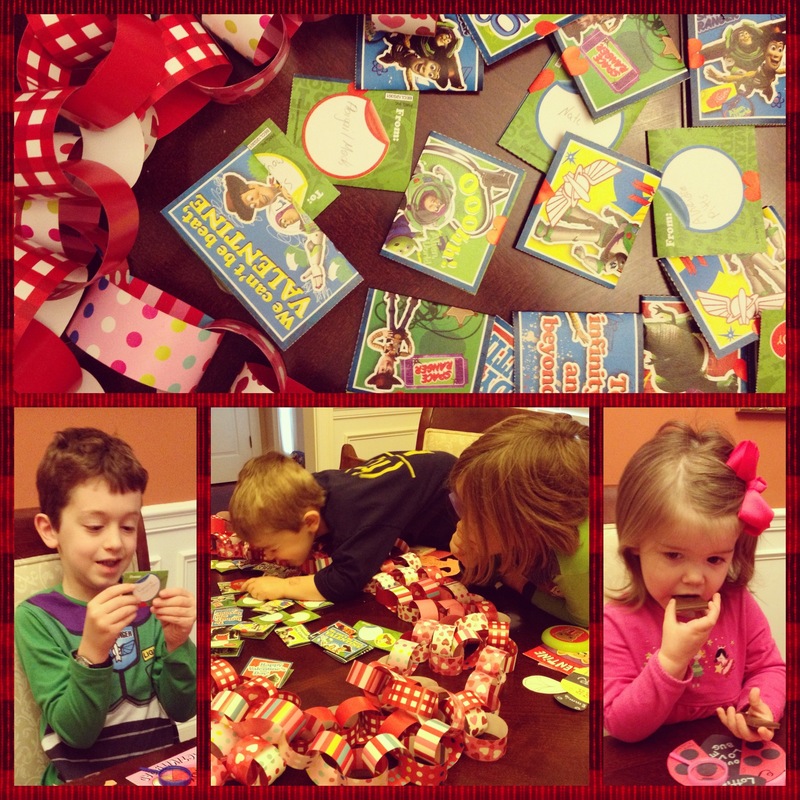 The children really wanted to do fun valentine cards/gifts, so they helped me comb Pinterest for ideas. I was planning on doing cute little printables for each one, but they wanted to do them by hand. Also? My children are as corny as we are. Lydia in particular. She snorted when she saw the “You’re just WRITE for me” one. They are so excited, they can hardly stand it! 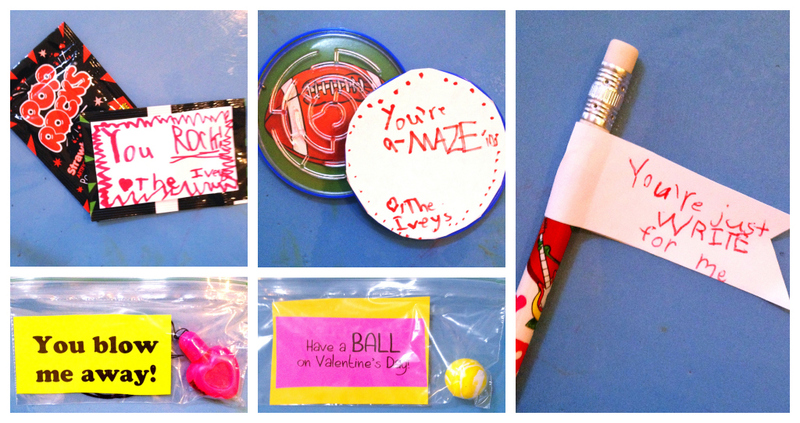 And I must admit that – even for a girl who doesn’t really care for Valentine’s Day – today’s going to be just lovely.